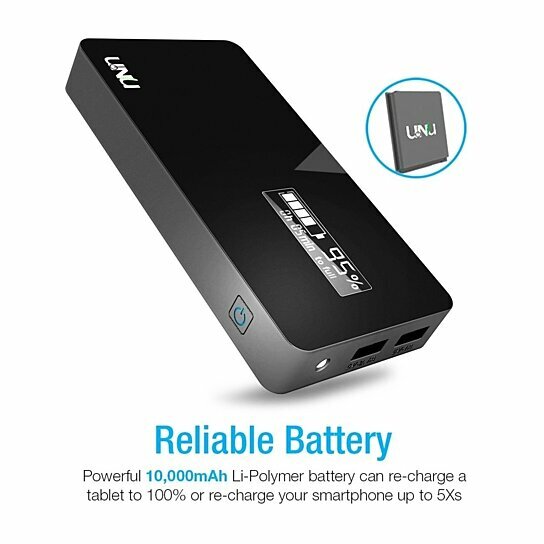 Fast-charging technology charges the Ultrapak in as little as 15 minutes to give all-day power. Ultra-portable design with rubberized frame for improved handling and added shock-absorbing protection. Smart LED Screen with power indicator shows remaining charging times in minutes and current power levels within 1%. Dual-port USB for charging two devices simultaneously and an integrated flashlight for nighttime use or during an emergency.